Make Art Fun Again with Easy, No-Prep Art Lesson Plans. Here at Ridge Light Ranch, our mission is to help you love teaching art so that you can give your children all the benefits of art and creativity in their education. CC Tutors & Directors, Start Here! Thank you! Now check your email! Plus New Art Projects, Freebies, Discounts, and More, when you Subscribe! Your privacy is important to us. We'll never sell your info. You can opt-out any time. Do you love teaching art? Does it scare you? Either way, you’re in the right place. Here at Ridge Light Ranch, you’ll find free art projects, ideas, tips, and samples in my blog & podcast. 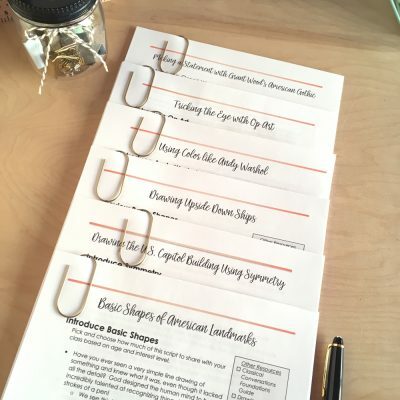 You’ll also find high-quality art lesson plans and art curriculum in my shop – everything you need to make teaching art fun and easy. These art lessons work well in a variety of circumstances. 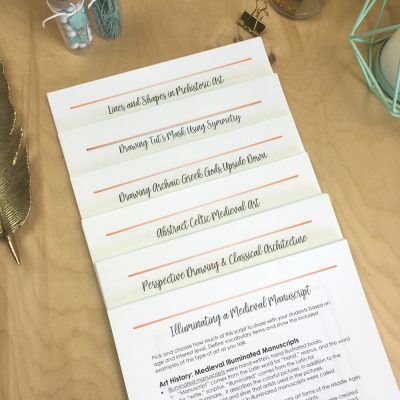 I created this art curriculum to use in my local homeschool community, but it also works great at home with your family, at summer camp, in a traditional classroom or in a homeschool co-op. The Classical Model of Education makes it easy. In times past, I felt like a complete non-artist. It’s amazing how frequently the ‘non-artist’ mentality would surface, leaving me feeling slightly defective. However, once I was introduced to the Classical Model of Education, I was able to improve my drawing skills quickly and resurrect my love of art. Now I’m passionate about teaching children and adults how to improve their art skills using the Classical Model, regardless of how ‘artistic’ they may feel. I want to inspire you to create art. So take a look around and then let me know if there’s anything else I can do to help you be an amazing art teacher. We’d love to meet you and see what you’ve been up to! Get access to all our exclusive subscriber-only discounts and deals. Be the first to know about our newest art projects and lesson plans. Learn about our favorite art products. Keep up to date on all the free content we give away. 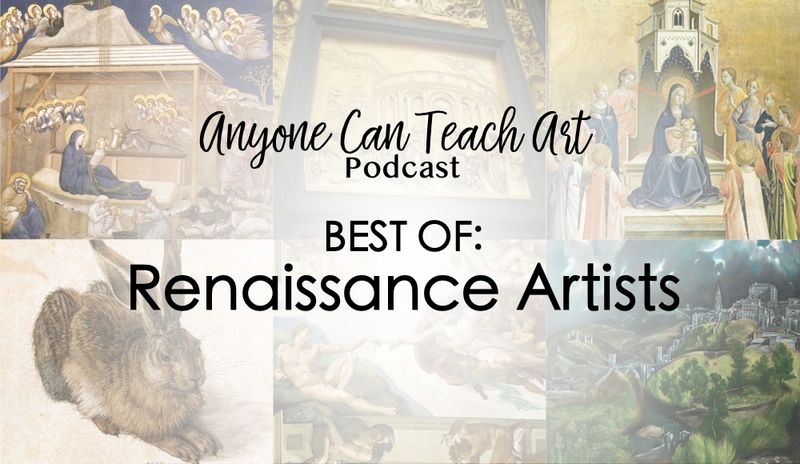 Receive our tips, tricks, and strategies to make teaching art easy and fun!